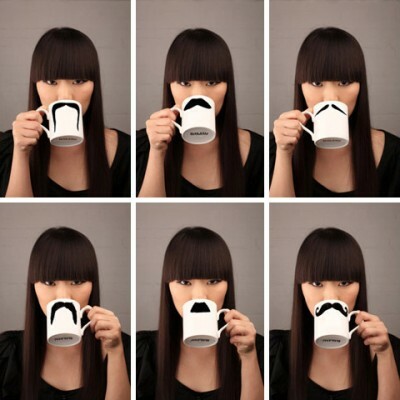 As part of London’s Designersblock 2009, which took place at the London Design Festival, Ibruegger revealed his quirky, yet unique Moustache Mugs which house even more interesting names. 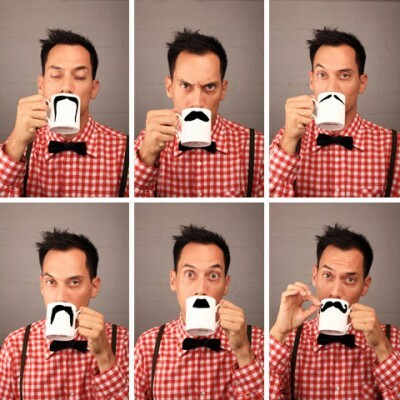 Produced in England by Ibruegger these corky mugs are fittingly named (from left to right) Feisty Fu-Magnum, Ambigues Mustafa-Chaplin and Cheeky Maurice-Poirot and each mug comes with two different moustache drawings on either side! And since their debut in September at London’s Designersblock, Ibruegger has witnessed an enormous cult following and as a result his mugs are now available for worldwide shipping! 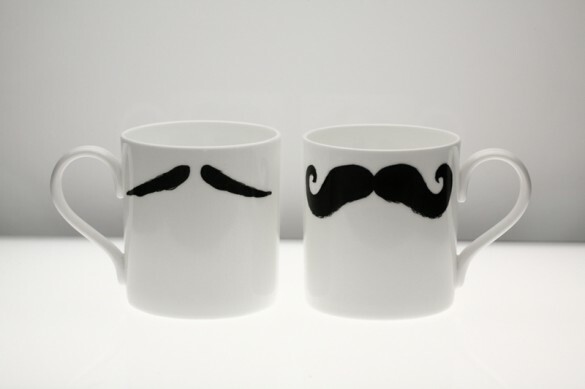 At roughly $20 per mug, not including the $5 shipping fee, it is a rather small price to pay to own a designer piece of art. Art, must I mention, that is actually useable! Come on, I see you smiling! How can you not?! What other dining utensil can actually put a smile on your face? Fine reading. Very helpful, keep up all the work. Excellent information. Thanks so much, very informative and easy to understand. I want to thnx for the time you have put in composing this blog. I am hoping the same top-grade article from you in the future as well. In fact your creative writing abilities has inspired me to get my own blog now. Really the blogging is spreading its wings rapidly. Your write up is a fine model of it. Oh my goodness! It is like you understand my mind! You seem to know a lot about this, like you wrote the book in it or something. I think that you could do with some images to drive the content home a bit, besides that, this is great blog post. A outstanding read. I’ll definitely be back. I really like your writing style. Simple and easy to comprehend. I have bookmarked it. By the way,does this blog operate on WordPress engine? Could not find your theme, is it custom made? Thanks! Payday Loan is a great help to the people who are in quest of money instantly. It provides the people with various benefits. I am truly experiencing reading your nicely written content articles. It looks like you invest a lot of effort and time in your blog. I’ve bookmarked it and I am searching ahead to reading new content articles. Keep up the great work! This website is pretty cool! How was it made !? This gave us another distorted view of. You made various nice points there. I did a search on the theme and found most folks will go along with with your blog. A well written blogpost, I just passed this onto a university student who was doing a little analysis on that. And he in fact bought me breakfast because I found it for him. smile.. So let me rephrase that: Thnkx for the treat! But yeah Thank you for taking the time to discuss this, I feel strongly about it and love reading more on this topic. If possible, as you gain expertise, would you mind updating your blog with more info? It is very helpful for me. Two thumb up for this blog post! Thanks so much for this! I havent been this thrilled by a blog post for a long period of time! You’ve got it, whatever that means in blogging. Well, Youre definitely someone that has something to say that people should hear. Keep up the outstanding job. Keep on inspiring the people! 2. Excellent work once again. Thanks a lot! it seems like I willlook for more advicesabout it.